The region of North Rhine-Westphalia is one of the most interesting in Germany, and with numerous cathedrals and ancient buildings will particularly appeal to lovers of history and culture. Contact the team at LUX-camp for the latest information about camping in North Rhine-Westphalia now! Why should I camp in North Rhine-Westphalia? 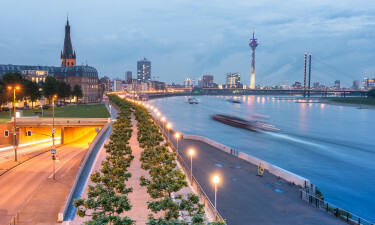 Urban attractions are the main appeal of this densely populated region of Germany; the many cities all have much to interest visitors, even the industrial towns of Dortmund and Essen all make the most of their heritage. 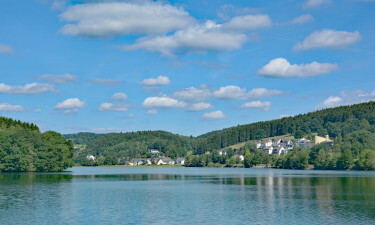 Rural tranquillity can certainly be experienced in the Sieben Ge Birge hills, the seven mountains, and in the peaceful woods of the Sauerland. Tillessensee is a luxury camping site that is ideal for families who as there are lots of activities in the lovely forested area. There is a child-friendly pool on-site, playgrounds and lots of interesting castles and attractions to visit. There are luxury mobile homes with air conditioning and their own barbecue pitches. The weather in North Rhine-Westphalia is typical of northern Europe. Winters are cold and snow is quite common, although less so than the alpine regions of Germany. Summers are usually warm and dry, although rain is not unknown. 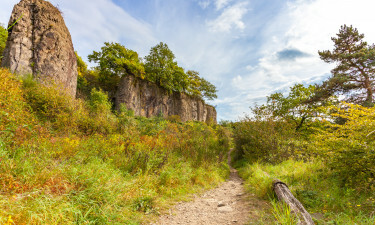 This region promises an ideal climate for walking and exploring the outdoors. Popular tourist attractions in the region include the Zollverein coal mine, the Aachen Cathedral, Cologne Cathedral and the Augustusberg Palace. These are all world heritage sites. The area is known for its beers, such as Kolsch and Alt. KromBacher and Warsteiner are other well-known brands of the region. 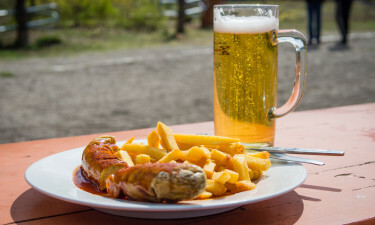 Try 'Rheinischer Doebbekooche'; a type of potato cake with bacon and sausage that is a signature dish and very delicious. Lovers of culture are well-served in North Rhine-Westphalia as there are many major museums and theatres in the cities.